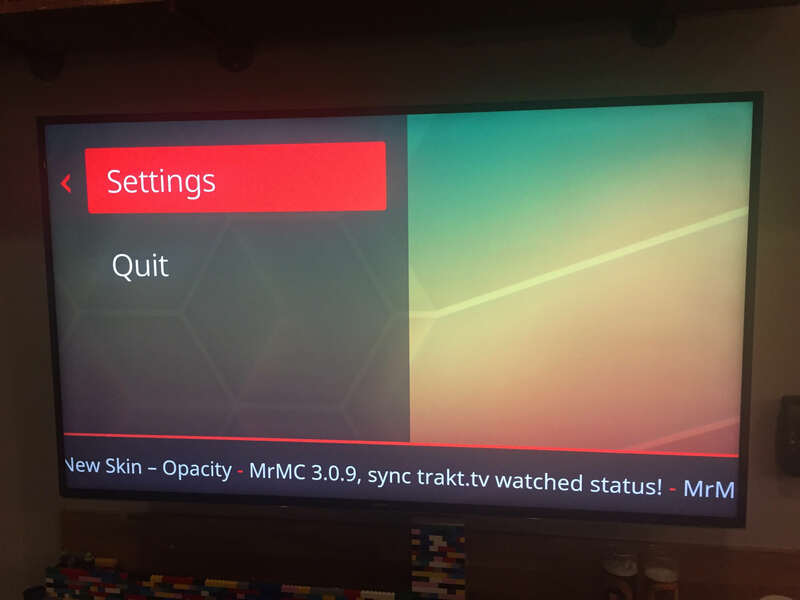 A few weeks ago, whenever I tried to start up the Mr. MC app via my FireTV 4K, the menu screen for the app is super zoomed in. I tried adjusting the settings zoom within the FireTV which didn't work, nor did a full factory reset of my FireTV fix the issue. Every time I re-install the Mr. MC app and start it, it's zoomed in and unusable. I really miss being able to use this app and I have no idea what changed. Nope. Already tried the zoom and it only happens on Mr. MC, not any other apps (all functioning fine). I was also thinking it was maybe some other setting I didn't even know I'd toggled and so tried a full factory re-set. No dice. ONLY Mr.MC is zoomed in weird. All other apps are nominal. yeah so i'm not sure how to get the debug log screen b/c i literally cannot see anything that might appear towards the top of the screen. clicking on "settings" from my view = there's just a whole bunch of mystery stuff that is happening offscreen. i have no way to know what is appearing in submenus because of the zoom. have you ever had a keyboard attached ? Nope. No keyboard ever. I do have a bluetooth apple keyboard lying around. other question: if i could bring this over to someone else's TV and magically it works without the weird zoom, would turning on the debug-over-https logs stay enabled if i then moved it back to my own TV? yes, settings are kept with the firetv itself. got exactly the same issue, and: no, it's not the screen magnifier. Besides that: yes, it's a 4k fire tv, the shiny new one, and an LG 4k tv set. And other apps work just fine.